It's all about being beautiful,but how to be beautiful all the time. Well let's find out. GoCam is believed to be the first camera app on the market with touchless photo snapping and video recording features. The free camera app, available for iOS devices, was developed by Swedish tech start-up. It’s especially handy for capturing ‘selfie’ with an easy hand gesture. Photos can be captured from a distance of up to 3m, which make it ideal for taking ‘groupies’ as well. In addition to that, GoCam also equipped with various filters and photo editors for you to touch up the photos before sharing them on your social networks. YouCam Perfect offers a variety of photo editing and makeover tools to beautify your face at the moment you take a ‘selfie’. 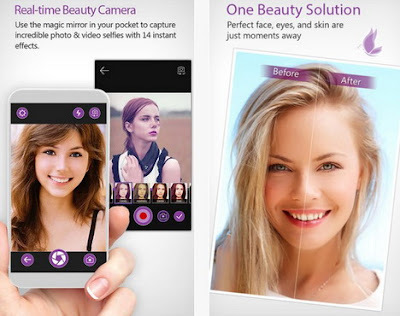 The app’s real-time beautifying effects make your look perfect in every frame. You may apply stylish effects in camera preview mode before photos are snapped. With YouCam Perfect you can edit your eyes, brighten your skin, remove wrinkles, reshape your face and even perfect your body shape within few steps. Additionally the app also supports short video selfie for iPhone 5 and above. 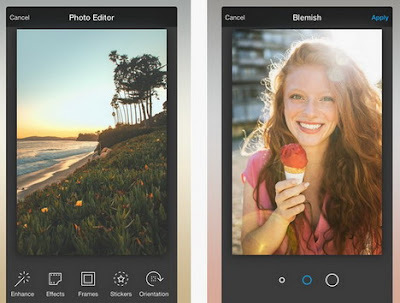 Aviary gives you a quick and easy way to edit your photos. 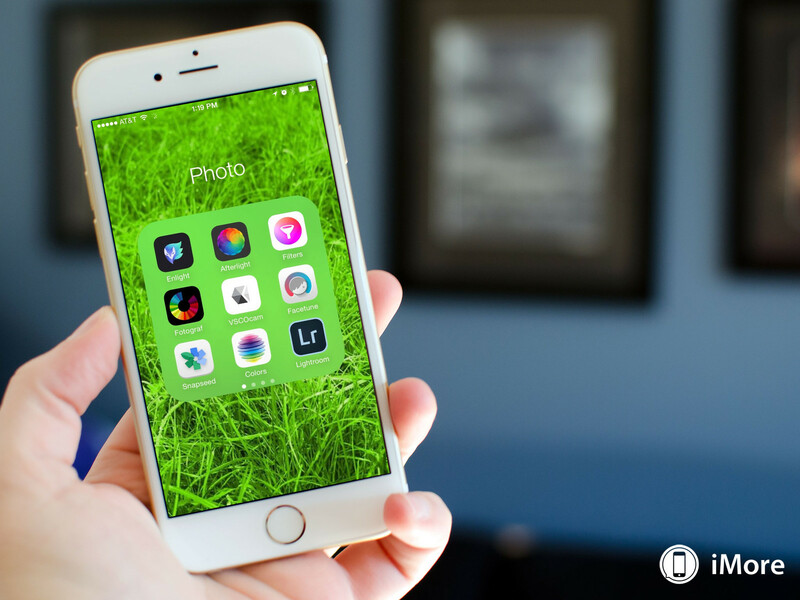 In addition to its intuitive interface, it provides wide range of image touch-up tools for you to apply photo effects and frames, add fun stickers, adjust brightness, contrast, color temperature, and saturation, and even create your own memes. Aviary is also great for touching up selfie photo with redeye, blemish removal, teeth whitening, etc. The app makes it very easy to share your ‘selfie’ to Intagram, Facebook and Twitter. This cool camera app enables you to capture photos with the front and rear cameras at the same time and share it in a single image. With Frontback’s real-time photo feeds, you can explore all the recent and popular photos posted around the world. 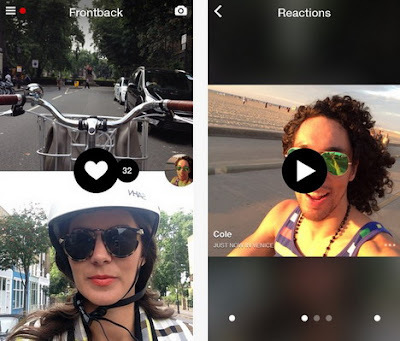 Another feature called Frontback React lets you interact with friends by posting a photo or 5 seconds video reaction. Shots is one of the fastest growing selfie photo sharing app. 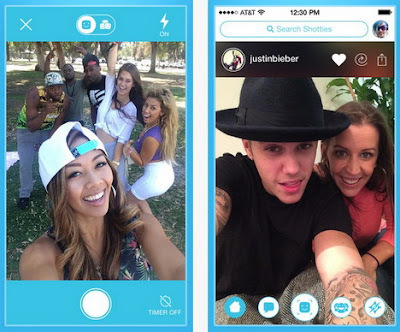 With Shots, you can take ‘selfie’ photo and post it on this social platform instantly. You can also reply to any photos, and send private messages to friends. However the app restricts users from posting previously taken photos. 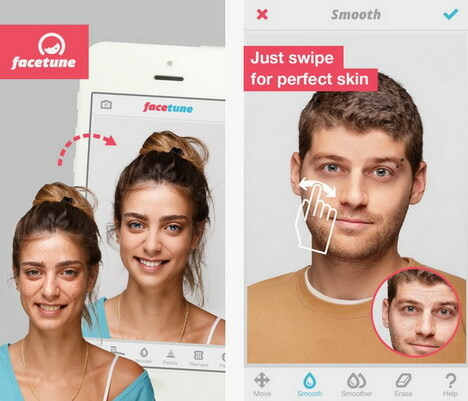 Facetune is another fun yet powerful selfie editing app. It allows you to re-touch and apply artistic flair to your selfies easily such as refine your smile, brighten your teeth, smoothen your skin, remove imperfections like pimples and blemishes as well as change your eyes color. Also you can apply customizable filters to the entire photo or to specific areas. Once you’ve done the photo editing, Facetune lets you instantly share it with friends across multiple social media. 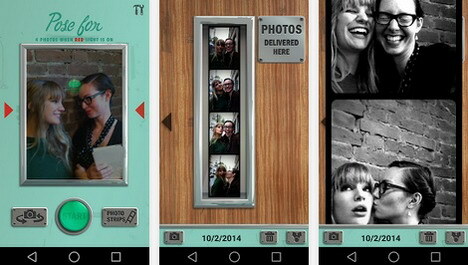 Pocketbooth turns your smartphone into a vintage photobooth. The app lets you take a series of photos within seconds to create a cool photo strips. The app is perfect for spontaneous selfie and groupie. Pocketbooth also make sharing an ease, with a few taps you can share your photo strips to your favourite social media or send by email. Additionally, the app comes with a number of photo effects, paper types and border styles for you to apply on the photo strips. Everyday is similar to Picr. With the app it reminds you to snap a photo of yourself every day. After a period of time, you can gather all the photos and make a time lapse movie to see how your face changes over time. To create a better video, when taking photo you should line up your face with an adjustable grid or use an overlay of your previously taken photo.